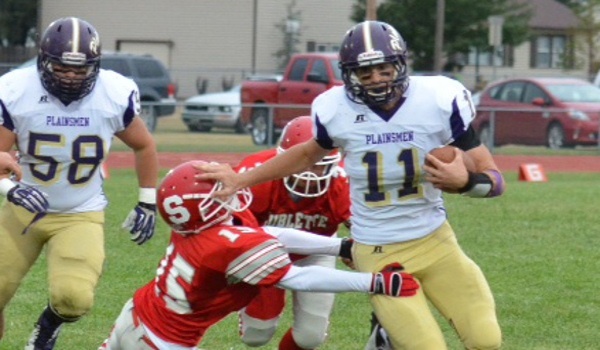 Class 2-1A's second-ranked Oakley Plainsmen have cruised to a 2-0 record. Behind a veteran defense, the Plainsmen have pitched shutouts of 26-0 and 70-0 over Colby and Sublette. However, Friday's home game against Class 3A's Phillipsburg Panthers will be Oakley's toughest test thus far. Phillipsburg has defeated Oakley in each of the past three seasons, including a 54-6 win last year. "I think their depth has been huge for them," Oakley coach Randall Rath said. "We haven't been able to put as many good athletes on the field as they do. Even though we have more numbers this year, their one through 25 kids are very quality kids. That's tough for a 2A school to match." "But at the same time, I think their kids have been mentally tougher than us. Mentally, we didn't feel like we competed very well last year." Other than the game against Phillipsburg, Oakley has boasted one of the best scoring defenses in the state over the past two seasons. Over Oakley's past nine games, it has allowed an average of only 6.2 points per game. The most points allowed was in a 20-8 loss to LaCrosse in last year's 2-1A state quarterfinals. During that time, the Plainsmen have kept opponents scoreless four times and to one touchdown or fewer six times. Oakley's 4-3 defense is a team concept focused on having its players fly to the football. "It's something that we think is very important for us to have success," Rath said. "We try to make it very simple, and we want our kids to react fast and run to the football as fast as they can. Sometimes, it hurts us. We can over pursue a bit. But it's something that we've really strived for since I've been here to try to get the kids to not think much and just play." The Plainsmen returned eight starters on offense and seven on defense from last year's team that finished 7-3. "It's been a tremendous help," Rath said. "We have moved some kids around though. So even though they have experience, they're having to get experience at a new position. We've had to do that just because of personnel. The positive thing though is that the kids have been in a varsity football game and know what it's about and how to compete at that level." Ryan Kuhn, a 6-2, 250-pound noseguard, was the Kpreps District 7 Defensive MVP as a sophomore last year. Now a junior, he continues to disrupt opposing offenses. "He does a good job for us," Rath said. "He plays with some other pretty talented kids. He's an extremely hard worker. Every down, you're going to get his best effort. He's a leader that way. He's a quiet leader, and the kids respect him." Another defensive leader is safety Darius Herl, who also is the team's starting quarterback. "Darius Herl is a very talented kid and has become a lot more vocal this year," Rath said. "He really takes charge. (Kuhn and Herl) are both team players and not worried about individual stats or individual status. They're good team players, and that's what it's going to take for us to be successful." And Oakley knows it will need a good team effort in order to slow down Phillipsburg. The Panthers are 2-0 after convincing victories of 32-0 and 40-0 over Plainville and Oberlin-Decatur Co.
"It's a great game to see where we're at," Rath said. "We're going to find out a lot of things that we're pretty good at, and we're going to find out a lot of things that we need to work on. It's always fun to go against good teams, and it's fun to compete. We know that if we don't bring our best effort, it's going to get ugly." The Plainsmen feel like they can give a better effort than last year. "We think we can defend better than we have," Rath said. "One thing we want to do is control the football, and we feel if we can do that we won't give them many chances offensively. But we have to execute. We've got to execute in all facets of the game. They've hurt us on special teams big the last two years."